Disney Vacation Planner for YOUR magical Disney vacation! Click here to read current reviews from MousePlanning clients. A Disney Vacation Planner was born one summer’s night in 1982 when a nine year old boy named James discovered a map of the Magic Kingdom on top of his aunt’s refrigerator. James studied that map every night, planning out what he would do if he ever convinced his parents to take the family to Disney World. When he finally walked onto Main Street USA about eighteen months later, his family was amazed. Although he had never been there before, James walked around as if he had lived in the Magic Kingdom his entire life. 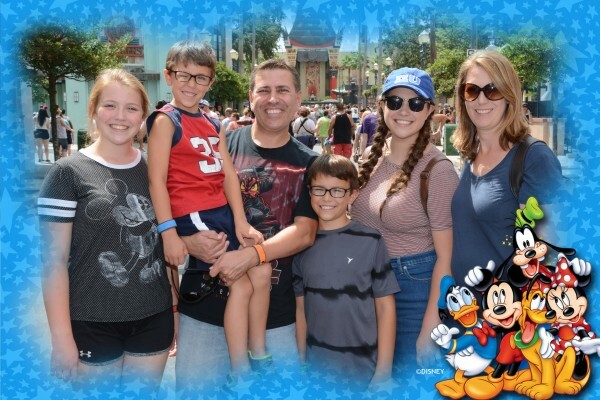 For the next few years, James became the Disney Vacation Planner of choice for family, friends, friends-of-friends, and the occasional random stranger. After planning hundreds of Disney Vacations, James decided it was time to make being a Disney Vacation Planner a full time vocation. Adopting the moniker of The Mouse Planner, James started MousePlanning.com in 2008 with the goal of helping others enjoy the magic of a Disney Vacation as he helped his own family on their first Disney Vacation — by providing expert guidance and advice..
After being the official Disney Vacation Planner for more than a thousand families, James has planned it all — first time Disney vacations, traveling with infants, children of all ages, tweens & teens, romantic getaways, multi-generational family trips, special needs travelers, large groups, and even solo travelers. His tips, advice, and attention to the small details are tailored to the unique needs of each of his clients. Do you need a Disney Vacation Planner for your next visit to Walt Disney World? Do you want to sail to the Caribbean, Bahamas, or Europe on Disney Cruise Line for the first time? Want help planning a visit to Disneyland and Southern California? Would you like to experience the magic of Disney in exotic locations anywhere in the world with Adventures By Disney? Then contact The Mouse Planner today and see what an expert Disney Vacation Planner can do for you!